Live colorful with Super AMOLED display Ready for uncompromising color? 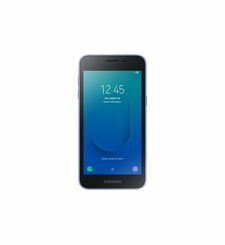 Galaxy J6 displays truly vivid images all the way to the edge of the device. Infinity Display – weighing in with a 5.6" HD+ Super AMOLED screen and an 18.5:9 ratio – maximizes the available screen coverage for a more immersive viewing experience. Fluidity and style Comfortably stylish for life on the move. With its beautifully smooth curves and streamlined finishing, Galaxy J6 embodies fluidity and sits nicely in the palm of your hand. Choose from a range of three attractive device colors to match your mood. 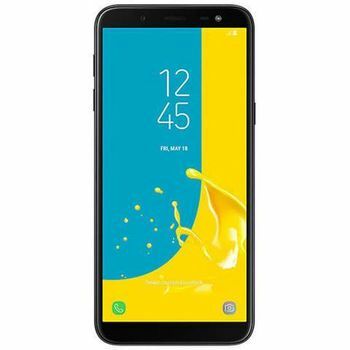 Multitask-ready display Galaxy J6’s vivid 5.6” Infinity Display is ideal for multitasking activities, including gaming, texting and browsing. App Pair makes it possible to watch video and messenger simultaneously, so you can keep watching video clips without having to take your eyes off your messages. Three levels of brightness Add clarity to what you capture without glare. 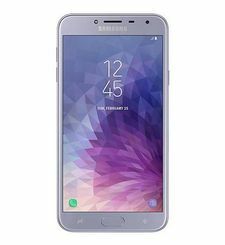 Galaxy J6 features three-level Front LED flash adjustment to avoid image degradation when shooting selfies even in darker environments. Enjoy creativity with your images Add some creative flair to your photos. Galaxy J6 comes with various camera features and creative filters to liven up what you capture without glare. Build a storytelling with your photos Edit your photos and videos to create your own customized story and organize your images and videos by theme. With your contents, you can easily categorize and share them with friends and family thanks to more enhanced features. Convenient mobile security Face recognition Now you can unlock your phone instantly by simply holding it to your face. Face Recognition technology grants mobile access for you alone to ensure your personal data doesn’t fall into the wrong hands. Fingerprint scanner Simplify mobile access with security you can trust. Galaxy J6 features reliable fingerprint scanning that enables you to log in to websites and apps for seamless multitasking. Secure Folder Samsung’s Secure Folder is a powerful security solution that lets you create private and encrypted space to store content such as photos, documents and voice recording files under an additional layer of protection. Separate work and home chatting Divide your work messages and personal chats with ease. With Dual Messenger, you can now connect to two different chat accounts on your favorite messenger apps*—and it's simple to install the second instance from the Home screen. Ample storage More room to store what’s worth holding on to. 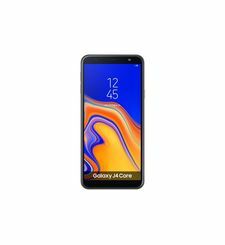 Galaxy J6 comes with up to 15GB of Samsung Cloud storage so you can comfortably keep your content safe and close at hand for whenever and wherever you need it. Keep your health on track Meet your personal health manager to keep your life in optimal balance. 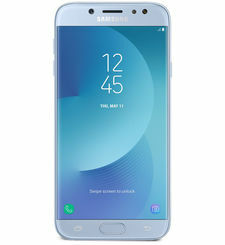 Galaxy J6 features Samsung Health, which monitors your activity levels, nutrition habits and sleep patterns all in one convenient place for quick and easy access. *Gear Fit sold separately. 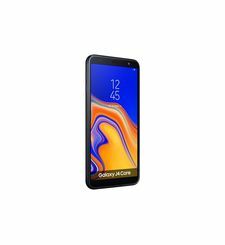 Convenient Wi-Fi switching Hassle-free enabling and disabling Wi-Fi, Galaxy J6 stores your Wi-Fi history and will automatically switch on and off when entering and exiting frequently used hotspots. Now you can have seamless connectivity while reducing mobile data usage when moving in and out of Wi-Fi zones.